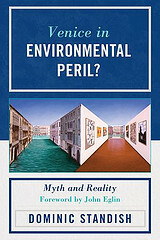 A book review was published on 31 July 2014 in the journal ‘Theory in Action’ of ‘Venice in Environmental Peril? Myth and Reality’ by Dominic Standish. The review was written Dr James Panton, who is a widely respected Oxford lecturer and educator. My thanks to him for his positive and insightful remarks. Book Review: Dominic Standish, Venice in Environmental Peril: Myth and Reality. Forward by John Elgin. University Press of America, Inc. 2012. ISBN: 9780761856641 (Paperback). 306 Pages. $38.99. ← Why have Venice, Italy and the world’s media been stunned by corruption arrests linked to Venice’s MoSE dams and the resignation of Venice Mayor Orsoni?